The “magic” fat burning pill! Everyone is always looking for that magic pill to get smaller or to lose weight but lets be real…one does not exist! Even the pharmaceutical companies can’t come out with a good sustainable fat loss pill just ones that make you starve yourself. To burn fat and lose weight, diet and exercise is everything more diet than exercise. But there are things you can take in combination with proper diet and exercise to help speed up results, one of those things being…fish oil! Yes people fish oil has many benefits and one of them happens to be fat loss. But first lets look at the other awesome properties of fish oil. The biggest part of this pill is the OMEGA-3 that it contains. Omega-3 is key to a healthy cardiovascular system. This omega helps decrease the bad cholesterol(LDL) and increase the good cholesterol(HDL) if taken regularly. It also helps decrease inflammation in the blood vessels helping increase blood flow and lubricate the joints. Fish oil also aids in brain health helping to decrease depression and assist with memory and cognitive abilities. Lets not forget about skin health! 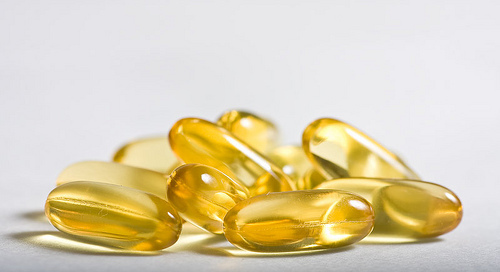 Fish oil helps maintain elasticity in skin by helping with collagen production. Maybe not a big deal for most but every little bit counts. Last but not least! The reason why you are reading this post, FAT LOSS! Fish oil is important when losing weight and dropping fat. When taken on a consistent basis the oil helps with the production of leptin. Leptins job is help increase the metabolism and decrease appetite. A faster metabolism means faster fat loss! Sweet right? The last thing you’ll want to know is that it helps increase insulin sensitivity which helps prevent the body from releasing too much insulin when digesting carbohydrates. All in all fish oil is a very important supplement to take and shouldn’t be over looked or underrated!